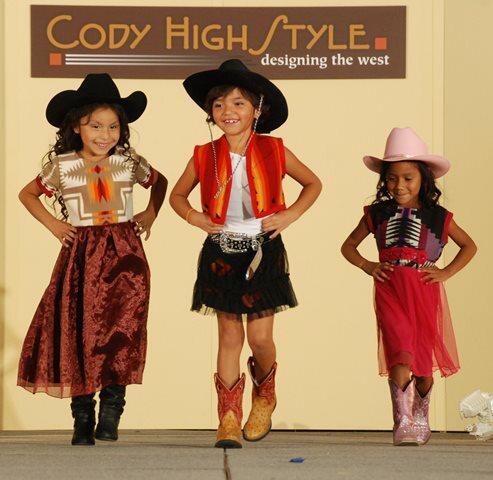 Every September, people from all over head to Cody, Wyoming for the annual Rendezvous Royale - a boot scootin' week full of high end western art and culture. 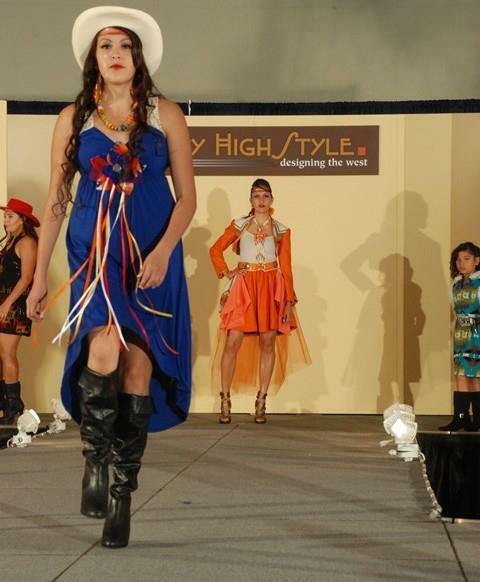 The Cody High Style fashion show has become one of the week's highlights, with 'western chic' taking center stage. One designer was Mildred Carpenter. 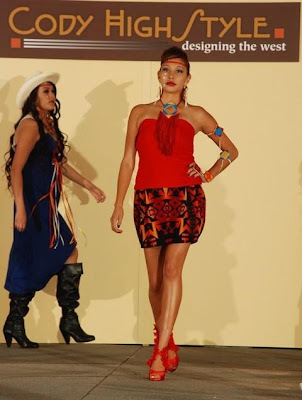 Originally from the Great Cheyenne River Sioux Nation in Eagle Butte, SD, Carpenter creates dresses in vibrant colors and mesmerizing combinations that fuse Western wear with powwow chic and high fashion for her label, MILDJ. 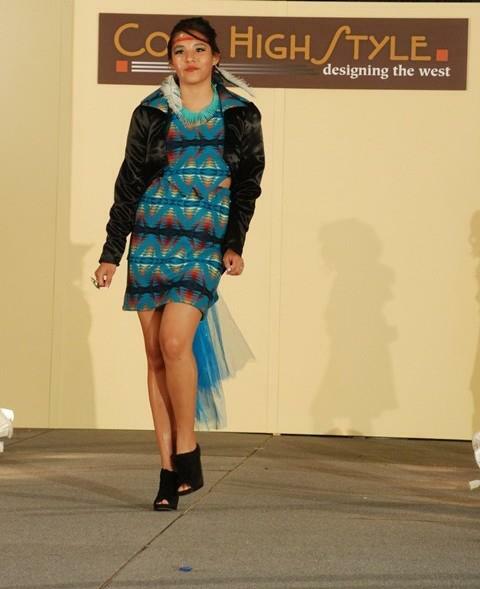 Turquoise blue cocktail style dress paired with a jacket. mini paired with a striking beaded choker necklace. Blue dress with front design embellished with flowing ribbon work. paired with a modern concho belt and beaded choker statement necklace. Carpenter gives a wave to the audience for the finale. 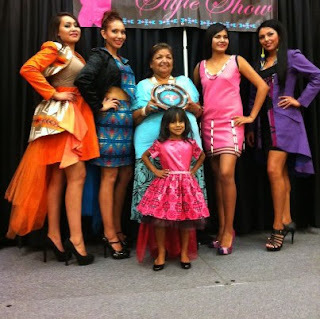 Mildred Carpenter with models at the He Sapa fashion show, 2012. Click here to read more. See more images by clicking here. Find Cody High Style on Facebook by clicking here. (All photos by Dewey Vanderhoff).